Prepare your business for the future. Embrace the Internet of Things (IoT) to save money, create new revenue streams, and stay competitive. Connect your assets with IoT to gain real-time insights—improve your decision making, drive efficiency, empower your employees, and create better customer experiences. Whether you’re looking to develop a solution yourself, build with a Microsoft partner, or purchase a finished solution, find what you need with Azure IoT. Reduce complexity, lower costs, and speed up your time to market—all on the industry’s enterprise-ready platform for the Internet of Things. Translate your digital transformation goals into action with the secure, open, and scalable Azure IoT. Embrace security from the endpoint and connection to your data and apps, and through to the cloud. Use any device, OS, data source, software, or service, on-premises, at the edge, or in the cloud. Take advantage of one of the largest partner ecosystems and enable millions of devices and terabytes of data in most regions worldwide. Start with an open, scalable platform and use the technology you already know. Find out which IoT products are right for you and how to develop a solution that meets your business and technical requirements securely at scale—from device to cloud. 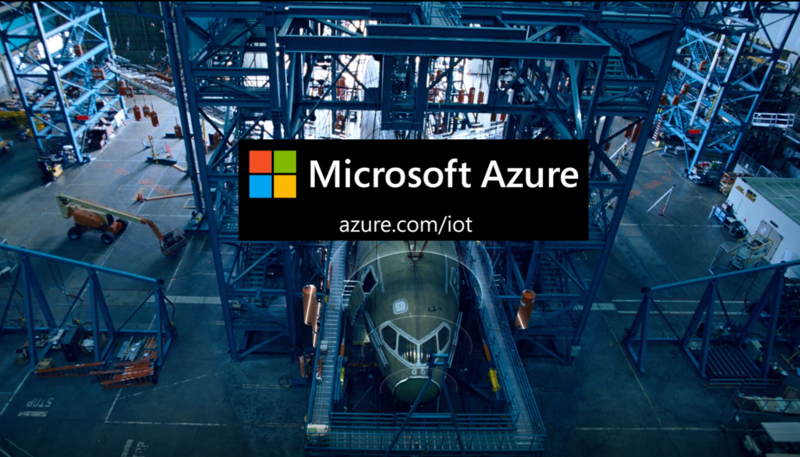 Take a look at how companies in the discrete manufacturing, process manufacturing, transportation and logistics, and the energy sector are thriving with Azure IoT. Guidance and practical insights about how to get started on a successful digital transformation journey. A study by Microsoft and Boston Consulting Group.